Objective: Given a binary tree, Print All the Nodes that don’t have siblings. 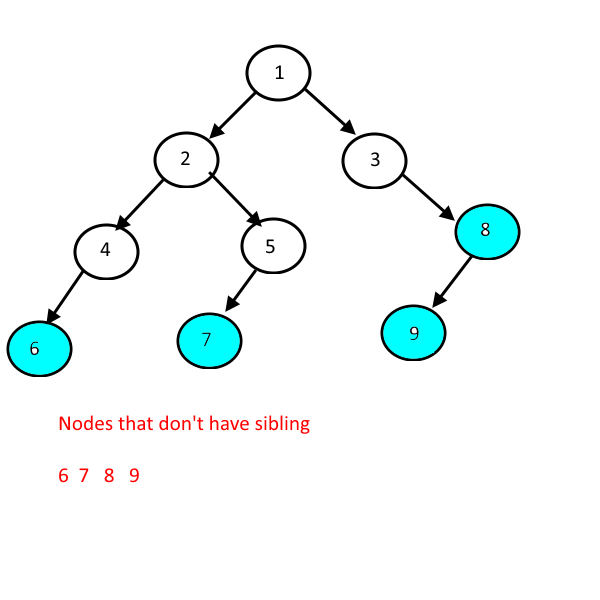 Note: sibling node is the node which has the same parent, so you need to print the nodes who is a single child of his parent. Print All the Nodes that don’t have siblings. check if node has only child, if yes then print that child. Previous story Convert a Sorted Doubly Linked List to Balanced BST. 229 queries in 0.123 seconds.